Hong Kong hotels have a reputation for emptying out your pockets, but while $200 won’t win you the keys to a five star in Central (for that take a look at luxury hotels) it will certainly get you through the doors of a four star in Causeway Bay, Wan Chai and Tsim Sha Tsui. 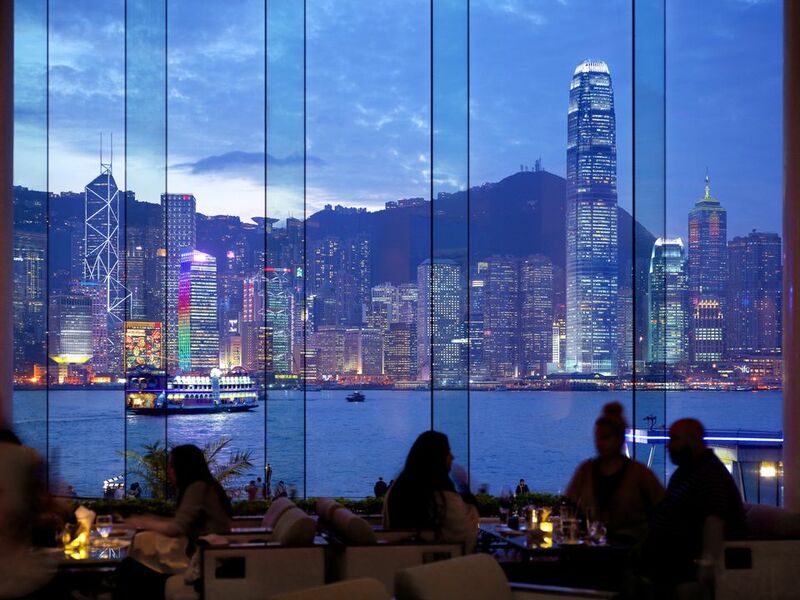 Below you’ll find picks of the best five hotels under $200 in Hong Kong. This is based on a single night, staying at the weekend, so you may well find these prices cheaper during the week and for longer stays. There are pros and cons to a stay at the Regal. Let’s start on the bright side; this is a five-star hotel set right in the very heart of ​Causeway Bay. If location is important and you are here to shop you probably couldn’t find a better-placed hotel. But, while it’s five stars on the door, the hotel has been knocking around for 20 years and it’s starting to show. The rooms look like they’ve fallen into a puddle of gold paint and come furnished with grand pastel paintings and more mirrors than a fair house funhouse. It’s also been suggested that the brusque service could do with a 21st century update. But if you’re happy sleeping inside a baroque church and don’t need to be applauded every morning this is a fantastic deal. If you aren’t willing to stay in Sha Tin (a new town outside the main city) and there are many reasons why you wouldn’t, this hotel isn’t for you. If you don’t mind the 20-minute MTR ride, this is the best bargain on our list. You get the full five-star treatment; from the fancy fine linens and free fruit to the outdoor pool and twice a day room cleans. The rooms, like the hotel itself, are well appointed if bland while the pair of restaurants attract encouraging reviews. For a smooth, slip up free stay this is the stand out option. Set inside a creaking residential high rise, there is no surprise with this big name brand offers solid service and functional if uninspiring rooms at fair price. The Best Western Causeway Bay is the same Best Western you’ll walk into in Los Angeles or London and that’s what makes it reassuring. There are comfy beds, flat screen TVs and the sort of wallpaper that should have been retired in the nineties. The hotel is pretty well equipped with a rooftop pool, the world’s smallest gym and something which you’ll often struggle to find at many swankier hotels, free wifi. If it’s got to be Central, it’s got to be Central. The Butterfly on Wellington will be right at the top of this price bracket but it is your ticket to Hong Kong’s most sought after district. Just on the border of Centrals’ lively SoHo restaurant and bar district and the screen of skyscrapers towards the harbour front, this is a modern boutique hotel with small but comfortably sized rooms that come with bold reds on the wall and crisp linen in the beds. While service at some boutique hotels can sometimes be underwhelming, the staff here are regularly singled out for praise. If it’s got to be Central, it’ll probably end up being Sheung Wan – and that’s ok. Just next door and a whole lot more interesting, Sheung Wan is one MTR stop or a 10 min walk from Central. Taking a leaf from the city’s ‘boutique ‘ trend, which translates as well designed but with restricted services and facilities, Ovolo 286 brings you modern but minute rooms – essentially half the room is bed and the closet is pull out. But there also some nice touches, like Apple TV, fancy toiletries and even free mini bar loaded with beer.